SAN DIEGO— A state court judge today upheld protection for gray wolves under the California Endangered Species Act. The ruling rejected a challenge from the Pacific Legal Foundation on behalf of the California Cattlemen’s Association and California Farm Bureau Federation. 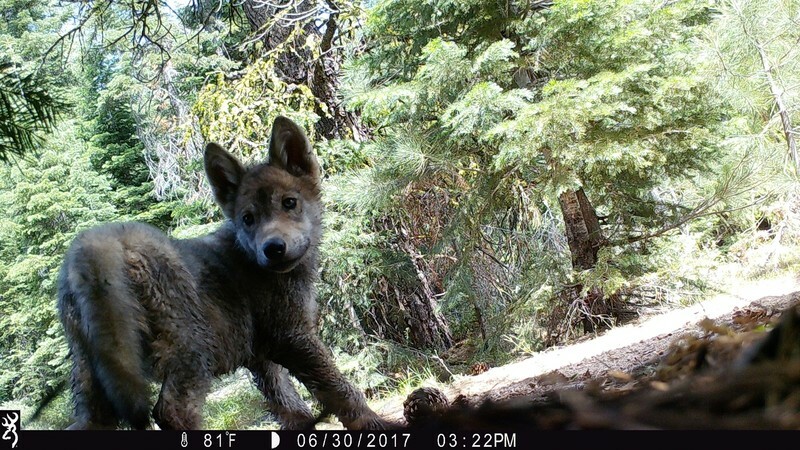 Ranching groups had challenged gray wolves’ endangered status based on the erroneous claim that the wolves in California are the wrong subspecies. They also wrongly argued that the listing was improperly based on a single wolf’s presence, and that wolves can’t be endangered in the state as there are plenty elsewhere in the world. “Wolves are coming back to California, and today’s decision gives them a red carpet to return home,” said Tom Wheeler, executive director of the Environmental Protection Information Center. The Environmental Protection Information Center (EPIC) advocates for the protection and restoration of northwest California’s forests, using an integrated, science-based approach, combining public education, citizen advocacy and strategic litigation. Cascadia Wildlands defends and restores Cascadia’s wild ecosystems in the forests, in the courts and in the streets. We envision vast old-growth forests, rivers full of salmon, wolves howling in the backcountry, and vibrant communities sustained by the unique landscapes of the Cascadia bioregion. Join our movement today. Earthjustice enforces laws to protect what we know to be irreplaceable wildlife and wild places, for this and future generations. Lassen pack wolf pup photo courtesy California Department of Fish and Wildlife. Images are available for media use.